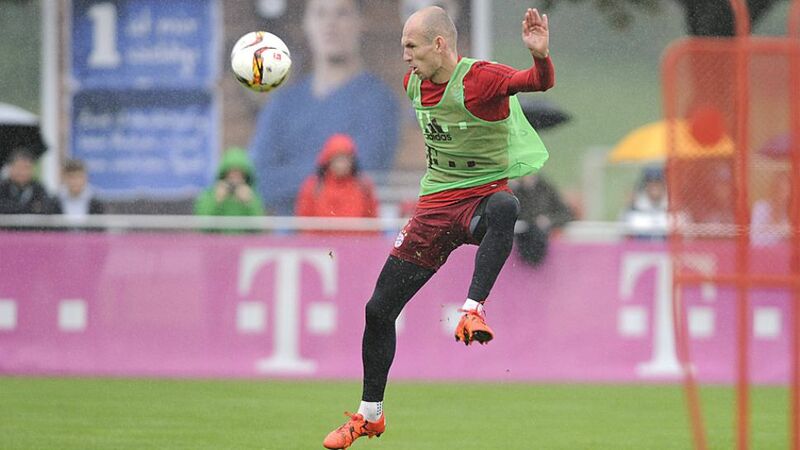 Munich - FC Bayern München star Arjen Robben has returned to training and could make his Bundesliga comeback in the league leaders’ Matchday 9 encounter with SV Werder Bremen. Robben has not featured for the reigning champions since the Matchday 3 win over Bayer 04 Leverskusen after sustaining an adductor injury. However, the 31-year-old trained with those members of the Bayern squad not on international duty under the rain at the club's Säbener Straße training centre on Wednesday, and is expected to be fit for the trip to the Weser Stadium.